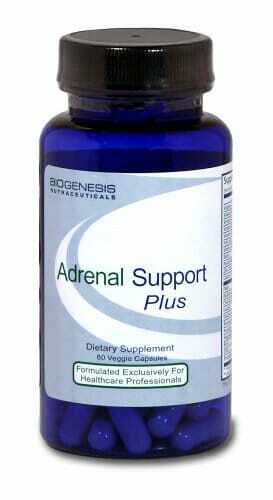 AdrenoHS-SOD by BioGenesis may help to reduce high levels of cortisol in the adrenal glands. High levels of cortisol are often caused by stress, and can cause a myriad of serious health concerns including inadequate sleep, weaker immune system, and more. 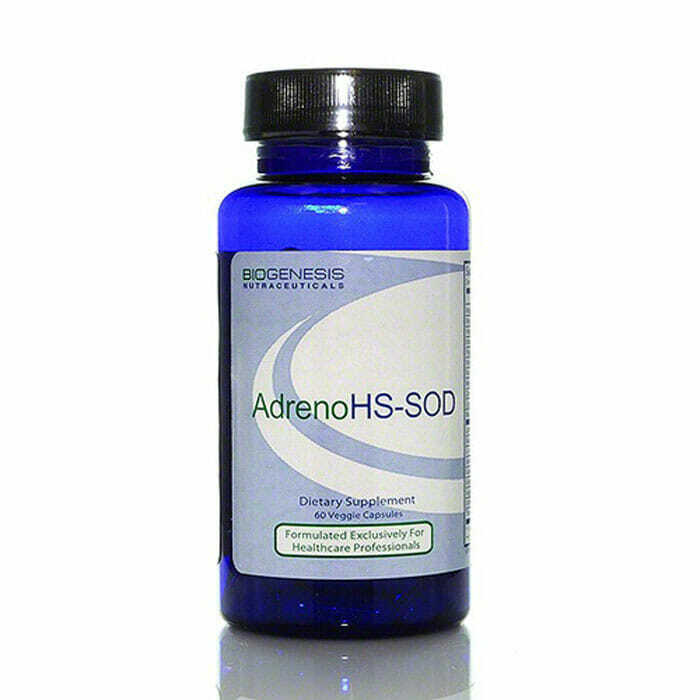 AdrenoHS-SOD is recommended for those who produce surplus amounts of cortisol. Cortisol is a hormone naturally produced in the adrenal glands, and is essential for life. However, factors such as stress raise the levels of cortisol production, leading to an increased risk for serious health concerns, such as Cushing’s syndrome. AdrenoHS-SOD works to balance excess cortisol levels, leading to a healthier, happier, you. AdrenoHS-SOD works by combining powerful antioxidants like zinc, copper, manganese, and vitamin B, with potent botanicals like basil to reduce and regulate safe hormonal levels, and reduce stress. 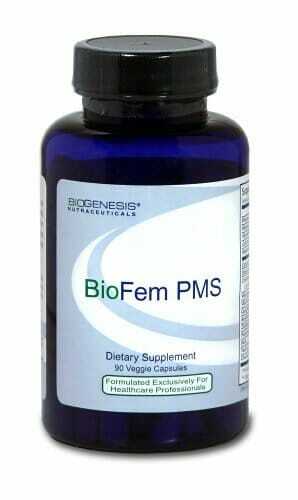 Helps to reduce excess levels of cortisol, and works to regulate a healthy hormonal balance. 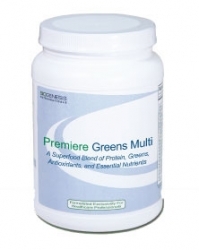 Contains powerful antioxidants and botanicals to help promote health and reduce stress. May help to decrease risk of developing Cushing’s syndrome and other health concerns. As a dietary supplement, take 1 capsule twice per day with meals or as directed by your healthcare professional. 1. Murray MT. Encyclopedia of Nutritional Supplements, The Essential Guide for Improving Your Health Naturally. Prima Publishing. 1996. 2. Werbach MR. Nutritional Influences on Illness: A sourcebook of clinical research, 2nd Edition. Third Line Press, Tarzana, CA. 1993. 3. Werbach MR, Murray MT. Botanical Influences on Illness: A sourcebook of clinical research, 2nd Ed. Third Line Press, Tarzana, CA. 2000. 4. Pfeiffer C. Mental and Elemental Nutrients. Keats Pub, New Canaan, CT, 1975. 6. Goldenber RL, et al. The effect of zinc suppleme- ntation on pregnancy outcome. JAMA 274, 463-468, 1995. 8. Netter A, et al. Effect of zinc administration on plasma testosterone, dihydrotestosterone and sperm count. Arch Androl 7, 69-73, 1981. 9. Newsome DA, et al. Oral zinc in macular degeneration. Arch Ophthalmol 106, 192-198, 1988. 10. Constantinidis J. The hypothesis of zinc deficiency in the pathogenesis of neurofibrillary tangles. Med Hypoth 35; 319-323, 1991. 11. Constantinidis J. Alzheimer’s disease and the zinc theory. Encephale Jul-Aug;16(4):231-9, 1990. 12. Brewer GJ. Practical recommendations and new therapies for Wilson’s disease. Drugs 50, 240-249, 1995. 13. Banderet LE, Lieberman HR. Treatment with tyrosine, a neurotransmitter precursor, reduces environ- mental stress in humans. Brain Res Bull. 22:759-762, 1989. 14. Young SN. Behavioral effects of dietary neurotransmitter precursors: basic and clinical aspects. Neurosci Biobehav Rev. 20:313-323, 1996. 15. Kapil A, Sharma S. Immunopotentiating com- pounds from Tinospora cordifolia. J Ethnopharmacol 58(2):89-95, 1997.